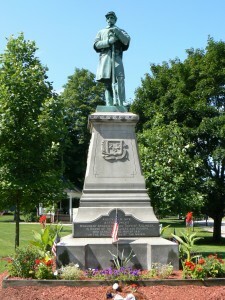 An 1878 monument at the northeast corner of a park in the Danielson section of Killingly honors the service of local residents in the Civil War. The front also bears the Connecticut seal, and the top of the granite base has a small facade adorned with ivy leaves. 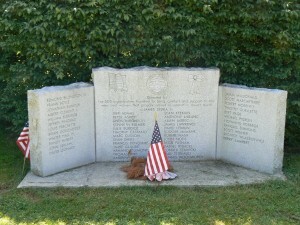 The rear side of the monument bears the U.S. shield emblem, and the left and right sides display ornamental wreaths. 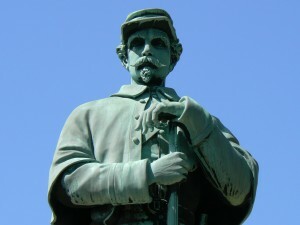 Unlike many Civil War monuments in the state, the Danielson monument does not list individual soldiers lost in the war or major battles in which area residents or regiments fought. 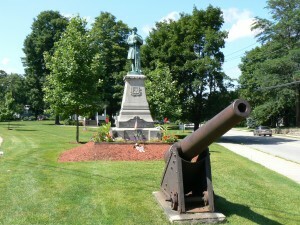 A 30-pounder Parrott rifle cannon has been mounted in front of the monument. The cannon bears an 1862 manufacturing date stamp, as well as the initials of the West Point Foundry in Cold Spring, New York. A cannonball pyramid originally stood in front of the cannon, but has since been removed (most likely during a wartime scrap metal drive). 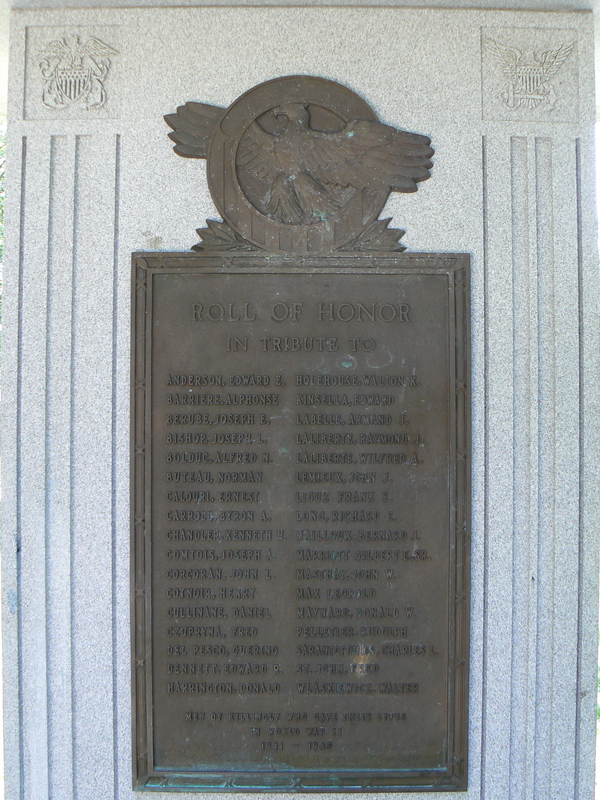 Davis Park also has monuments honoring local residents who fought in the World Wars and Desert Storm. 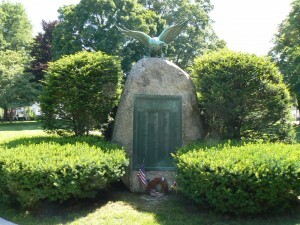 The World War monument, near the southwest corner of the park, is a large boulder topped with a bronze eagle. 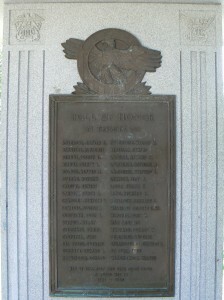 A plaque on the front face bears four columns listing local residents who served in the conflict, with a section beneath the dedication honoring two residents who were killed. 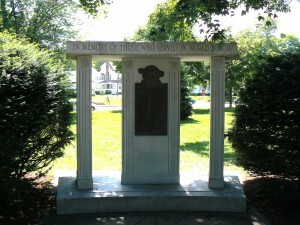 Killingly’s World War II monument features a granite slab flanked by two square columns. A plaque on the central slab list 34 Killingly residents killed in the conflict. The park’s Desert Storm monument lists 49 men and women who served in the conflict, and one who was killed. Davis Park was donated to Killingly in 1893 by Edwin W. Davis, a Danielson native who founded retail stores and banks in Iowa and Colorado. He requested the new park be named for his parents.